An RV (recreational vehicle) is an amazing vehicle which you can take anywhere. It has an attached bed, kitchen and bathroom, which provide you a unique way to live when on vacations. Most regular travellers and wanderers own their own RVs. However, if you are not a regular traveller, you should not buy an RV as it will cost you a lot of money. Renting an RV is the best option if you are not a regular traveller. 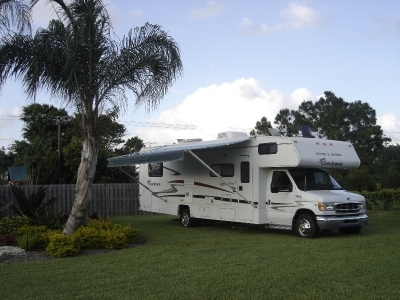 You can easily get the RV at rent from a renting agency. Furthermore, if you know an RV owner directly, you can simply contact him or her, and ask to take it on rent. First of all, you have to assess what kind of RV you require for your vacations or trip. If you are planning to travel alone, you can get a small-sized RV which is suitable for one person only. However, if you are planning to go on vacations with your whole family, you will have to rent a large-sized RV in order to provide necessary space to everyone going on the trip. After assessing your needs, search for the required RV on the internet. There are a lot of renting agencies which provide different kinds of RVs on different terms and conditions. For some agencies, you will have to hire a broker to whom you will pay some money as commission. On the other hand, some agencies require you to create an online account through which you can make the rental deal online. However, you will have to pay a particular amount of money online for their service charges. One of the most convenient ways to rent an RV is to find a person who owns an RV. In this way, you will not have to pay any commission to anyone and you can simply take the RV by paying the rent to that person. However, in this case, you may have to provide some collateral to the person from whom you are renting the RV.